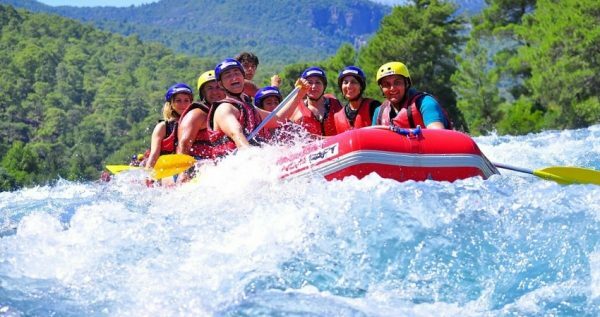 Side Rafting Tour invites to experience from first-hand few amazing rafting sessions in the infamous Köprüçay River at Köprülü Canyon. 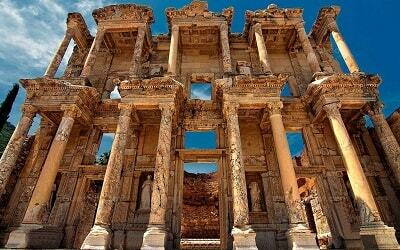 The excursion is suitable for those who like alternative adventures and for those who seek something different from the ordinary Side holidays. 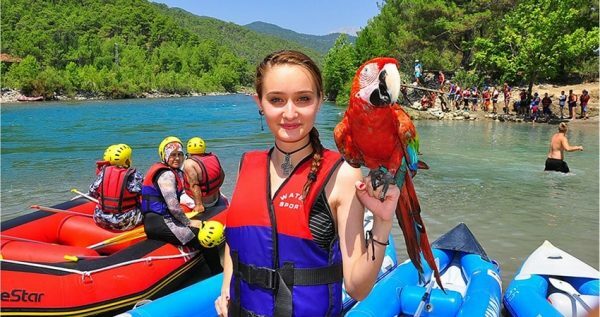 Explore the majestic Köprülü Canyon and its natural beauties, while enjoying rafting in Turkey’s most suitable river for rafting. 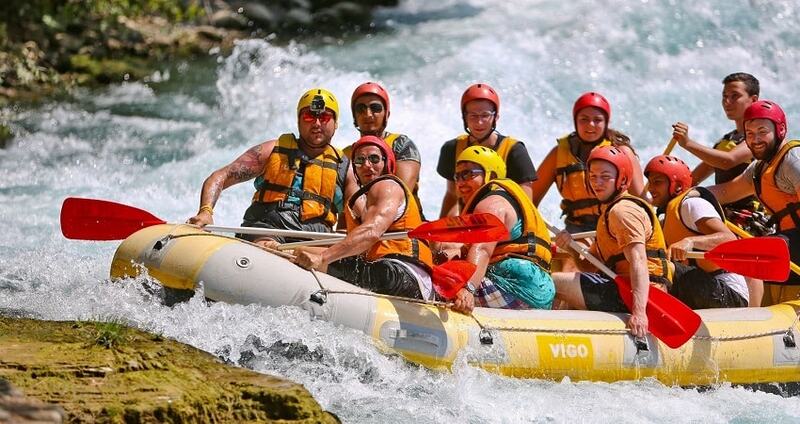 Side Rafting Tour guarantees unforgettable moments and excitement. Side Rafting Tour starts in the morning. Modern, fully air-conditioned and comfortable vehicles will pick you up from your hotel. The vehicles will drive you towards Köprülü Canyon, at the place where the rafting centre is located. It is worth to mention that Köprülü Canyon is one of the most popular national parks in Turkey with thousands of visitors every year. 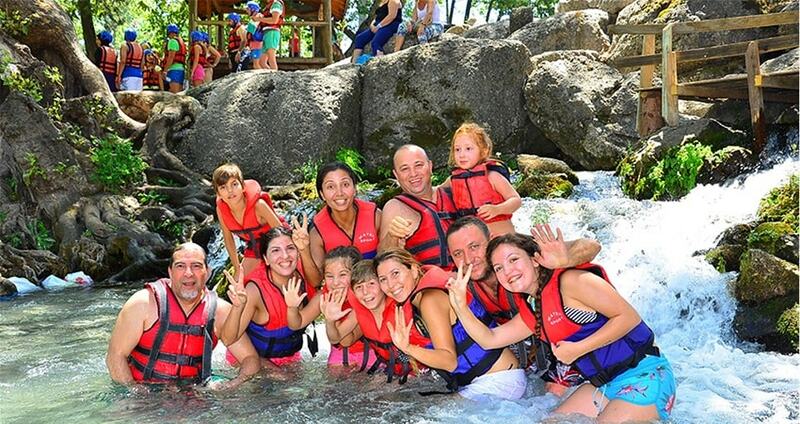 Once you reach the rafting centre you will have the chance to meet the rafting instructors. 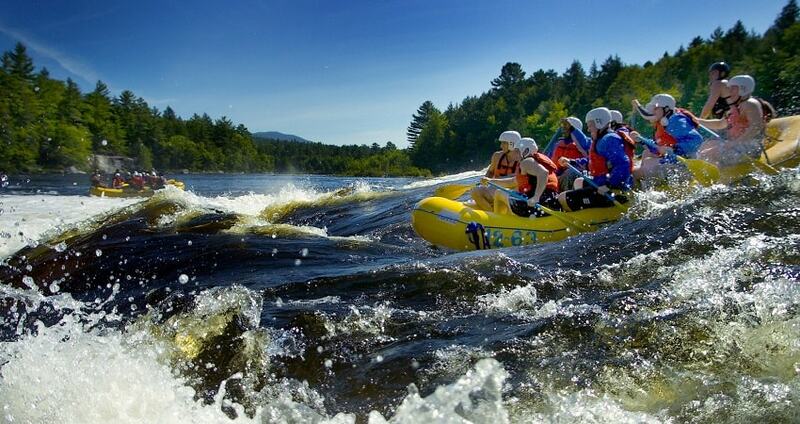 The professional and licenced instructors will provide a detailed introduction regarding your rafting experience. 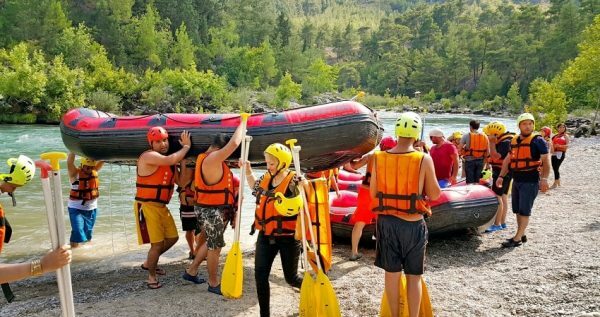 In addition, they will demonstrate how to properly use the equipment and then they will distribute everything you need for your rafting experience. Body rafting is what follows, as one by one you will be entering the water in order to get used to the temperature. Accordingly, you will enter the boats and every boat will have a captain. 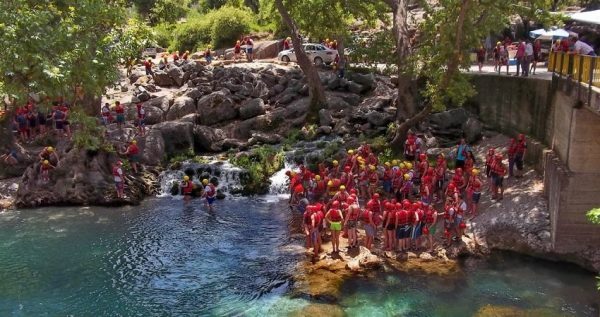 The wild, foamy and white waves that flow with an amazing speed in the river will amaze you as the whole team will be fighting against the flow of Köprüçay River for 14Km. After the first 40 minutes, a short break is scheduled. During the break you can swim or simply relax and enjoy the nature. The rafting continues and by the middle of the route, a lunch break will be made. 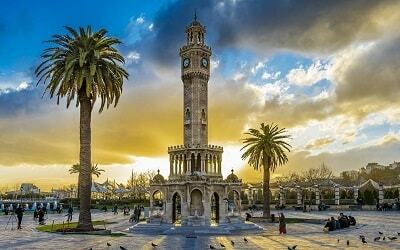 The lunch will be served at a restaurant and includes barbecued chicken, rice and salad. The last route has 20 minutes raft and then you arrive at the finishing point. There you will have the opportunity to preview the official photos and videos of your experience. You can purchase these great memorabilia at an extra cost. Comfortable vehicles will be waiting for you at the finish point in order to follow again the same route towards the city. Side Rafting Tour finishes during the afternoon, at the moment when you will reach your hotel. Side Rafting Tour is not suitable for guests with physical difficulties. Please don't bring your electronics unless they are waterproof. 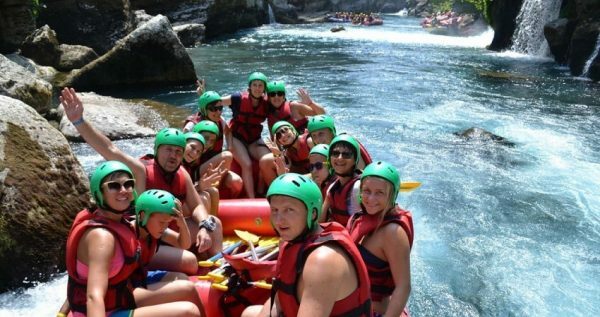 Enjoy a full day of excitement and adventure with the Side Rafting Tour. With this excursion you will have the chance to enjoy 3 rafting sessions in the most popular national park of Turkey. Admire the natural beauty of the Canyon, experience the ultimate rafting experience and make long lasting memories. Side Rafting Tour starts during the morning. 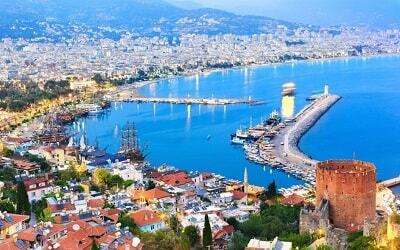 Our team member will pick you up from your hotel with modern, fully air-conditioned and comfortable vehicles. The vehicles will drive you towards Köprülü Canyon, at the place where the rafting center is located. The Canyon is one of the most popular national parks in Turkey and during the ride you will have the chance to observe the natural setting as well as some small villages. By the moment you reach the rafting center, a meet and greed session follows with the rafting instructors. The professional and licensed instructors will provide a detailed introduction with everything you need to know regarding the route and the safety procedures. In addition, they will demonstrate how to properly use the equipment and then they will distribute everything you need for your rafting experience. Body rafting is what follows, as you will be instructed to enter the water one by one in order to get used to the water’s temperature. 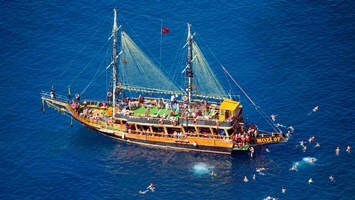 Then, you will enter into the boats and every boat will have a captain. Your rafting experience starts once you enter the boats. 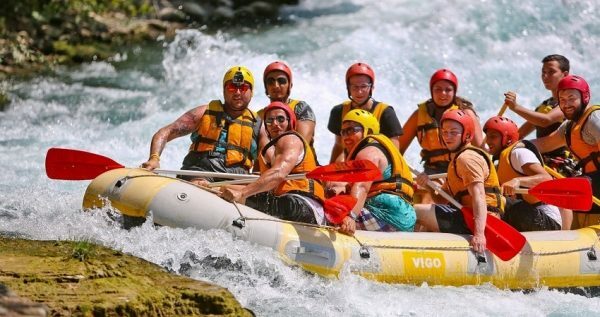 The wild, foamy and white waves that flow with an amazing speed in the river will amaze you as the whole team will be fighting against the flow of Köprüçay River. The total rafting route that you are going to follow is 14Km. After the first 40 minutes, a short break follows. During the 20-minute break you can spend your time as you wish. You can swim into the river or simply relax and enjoy the nature. You will then get into the boats for a second rafting session. By that time of your second session you will have fewer worries as you already know what to expect and what to do in order to enjoy your experience. In the middle of the 14Km route, you will enjoy a lunch break. 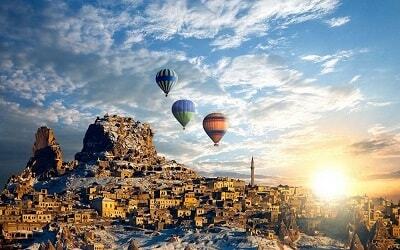 The lunch will be served at a restaurant located in the Canyon and includes barbecued chicken, rice and salad. The last route has 20 minutes of rafting until you arrive at the finishing point. There you will have the opportunity to preview the official photos and videos of your experience. You can purchase these great memorabilia at an extra cost. Vehicles will be waiting for you at the finish point in order to drive you back to the city. 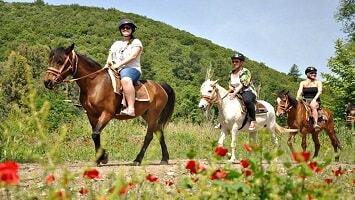 The excursion finishes during the afternoon, at the moment when you will reach your hotel.